Species functional traits and network theory to characterise forest landscape resilience to natural disturbances. 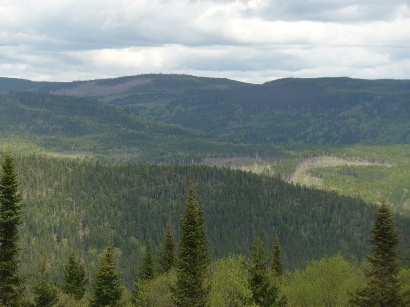 Fragmented forest landscapes of southern Quebec face multiple drivers of global change. Native and exotic insect outbreaks, prolonged drought events and pressure from current harvesting practices put at risk ecosystem functioning and the services and goods such forests provide to society. Landscape-scale, forest management plans taking into account climate change, shifts in natural disturbance regimes and variations in timber supply are indeed envisaged. This project aims at evaluating forest managment options for a fragmented landscape in temperate Quebec in a context of global change. We will model forest landscape and disturbance dynamics with LANDIS-II model and test alternative forest management policies that increase forest resilience to natural disturbances. Within this modelling framework, we will explicitly deal with climate influence on ecological processes (e.g. growth, mortality, recruitment) and impact of natural disturbances (e.g. drought and insect outbreaks) on forest communities. We then will use a new coined apporach to characterise forest landscape resilience based on tree species functional traits and topological properties of the forest network. Main outcomes of the project will be an understanding of forest dynamics under a changing climate and shifting natural regimes and a set of recommendations for managers and planners to increase forest resistance and resilience to face a changing and uncertain future. Aquilué, N. (2018). Managing forest landscapes under global changes: Simulation models for scenario evaluation. Ph.D Thesis, Université du Québec à Montréal. Aquilué, N. (2010). Calibració d'un model espacio-temporal de paisatge: l'impacte del règim d'incendis a Catalunya. Master's Thesis, UAB - CREAF. Duane, A., Aquilué, N., Brotons, L. (2018). 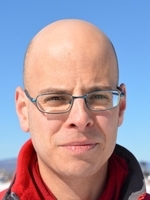 Global change and fire regimes in Mediterranean Ecosystems. Forum on Catalan Wildfire Research, Barcelona, Spain, 6 Novembre 2018. 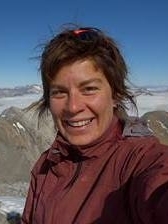 Mina, M., Fortin, M.-J., Aquilué, N., Messier, C. (2018). Coupling tree-community and landscape models with functional diversity and network theories for resilience-based forest management. ESA Annual Meeting, New Orleans, United States of America, 5 - 10 August 2018. Aquilué, N., Moran-Ordónez, A., Brotons, L. (2018). How global bioeconomy policies and local fire managemetn drive Mediterranean forest landscapes and their associated fire regimes. European Congress of Conservation Biology, Jyväskylá, Finland, 12 - 5 June 2018. Gil-Tena, A., Canelles, Q., Duane, A., Aquilué, N., Morán-Ordóñez, A., Comas, L., Beltrán, M., Vericat, P., Retana J., Vayreda, J., Piqué, M., Brotons, L. (2017). Estimación y proyección de la idoneidad climática y del crecimiento potencial de las principales especies arbóreas forestales de Cataluña. 7º Congreso Forestal Español, Plasencia, Cáceres, Spain, 26 - 30 June 2017. Duane, A., Aquilué, N., Brotons, L. (2017). The challenge of emergence in fire regimes in landscape succession models. World Conference on Natural Resource Modeling, Barcelona, Spain, 5 - 9 June 2017. Aquilué, N., Duane, A., Gil-Tena, A., Fortin, M.J., Messier, C., Brotons, L. (2016). Evaluating forest and fire management effects on landscape dynamics: a modeling approach in Mediterranean ecosystems. The International Society for Ecological Modelling Global Conference, Towson University, MD, USA, 8-12 May 2016. Aquilué, N., Gil-Tena, A., Fortin, M.-J., Brotons, L. (2016). Reversing rural abandonment trends to mitigate large fire impacts on Mediterranean forest ecosystems. 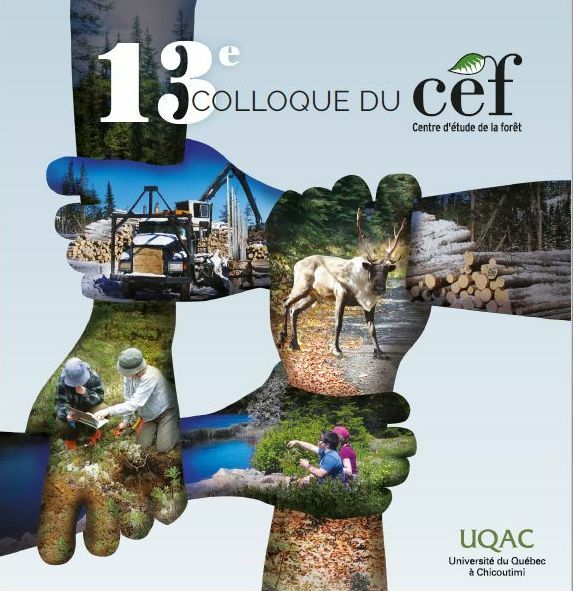 10e Colloque annuel du CEF, UQAM, Montréal, Canada, 2-3 May 2016. Aquilué, N., Fortin, M.J, Messier, C., Brotons, L. (2015). Transforming a EU Mediterranean landscape matrix: reversing rural abandonment to reinforce large scale resistance to wildfires. 9th International Association for Landscape Ecology (IALE) World Congress, Portland, Oregon, USA, 5-10 July 2015. Gil-Tena, A., Aquilué, N., De Cáceres, M., Brotons, L. (2014). Effects of fire regime changes on the extent and seral statge structure of Mediterranean pines: a landscape dynamics modelling approach. 5th International Conference on Mediterranean Pines (Medpine5), Solsona, Spain, 22-26 September 2014. Regos, A., Aquilué, N., Gil-Tena, A., Duane, A., De Cáceres, M., Brotons, L. (2014). MEDFIRE model: A spatially-explicit tool aimed at supporting fire and forest management decisions in Mediterranean regions. FIREeffiecient Workshop, Solsona, Spain, 25 June 2014. Regos, A., Brotons, L., Aquilué, N., De Cáceres, M. (2013). Uso de estrategias oportunistas de extinción para reducir el impacto de los incendios en condiciones climáticas extremas. 6º Congreso Forestal Español, Vitoria-Gasteiz, Spain, 10-14 June 2013. Gil-Tena, A., De Cáceres, M., Aquilué, N., Regos, A., Villero, D., Saura, S., Brotons, L. (2013). Modelización del hábitat de Pino laricio (Pinus nigra spp salzmannii) y de los cambios en su conectividad dentro de la Red Natura 2000 en futuros escenarios de cambio climático. 6º Congreso Forestal Español, Vitoria-Gasteiz, Spain, 10-14 June 2013. - Desing, implementation, calibration, and validation of landscape dynamic models (LDMs) using the modeling platform SELES® (Spatially Explicit Landscape Event Simulator) and R for the statistical analysis. - Program Remote Sensing and GIS applications in language C for the GIS software MiraMon®. - Database design and management for controlling financial investments protocols and optimizing investment & cost-effectiveness reports generation. García, C. (2012) Modelització del Creixement de les espècies Pinus nigra i Quercus ilex a Catalunya. Master's Thesis, UAB - CREAF. Grant to the highest global grade on the M.Sc. in Remote Sensing and GIS (2010, UAB and CREAF).